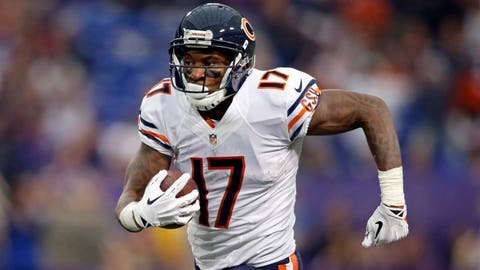 Alshon Jeffery was back in a big way against the Lions in Week 6. Let’s take a look at five of the biggest takeaways from Week 6 of the Fantasy Football season. It’s always difficult to know how a player will be used after a lengthy injury. Will his team limit him? Will he be on a snap count? Will he produce at less than 100 percent? These were the fears with multiple productive players on Sunday, and hopefully you rolled the dice with all of them. 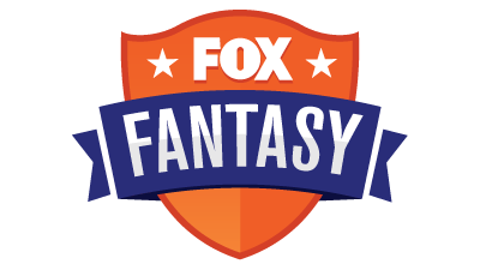 Alshon Jeffery, Martavis Bryant and LeSean McCoy were all back in action, and all three had very productive fantasy days. Let’s start with Jeffery, who was Jay Cutler’s main target in a shootout with the Lions. Jeffery put up an 8-147-1 line on 11 targets, which is awfully impressive. Barring any setbacks in practice this week, you can pencil him in as a low-end WR1/WR2 type going forward. The Bears are going to be down and throwing quite a bit, one would think. Martavis Bryant’s breakout game was a little harder to predict. Even though he was a preseason darling and found his way into the endzone at an incredible rate last year, there was skepticism about playing him this week after a suspension and an injury had sidelined him all season. And, of course, you had the whole Michael Vick as quarterback thing working against him as well. It didn’t matter. Bryant blew up for 6-137-2 on eight targets, despite receiving passes from third-string QB Landry Jones. Bryant is an explosive playmaker, and once Roethlisberger gets back, the Steelers should have one of the most dyanmic offenses in the league. He’s still a WR3/Flex type for now because of the QB situation, but he could easily be a high-upside WR2 the rest of the way. As for McCoy? There were suggestions he wouldn’t get a full carry load, and that he still wasn’t 100 percent. Again, it didn’t matter. The Bills as a whole struggled, but McCoy looked good, putting up a 17-90-1 line in his first game back. With a juicy matchup against Jacksonville on the horizon, McCoy is back as a high-end RB2 option next week. Look, I was as skeptical as just about everyone else. Andy Dalton had too many clunkers in the past to really trust, right? But here we are, six weeks into the season, and Dalton is fantasy’s top scoring QB. He’s been better than Aaron Rodgers, better than Tom Brady, better than everyone. This is a guy that wasn’t drafted in most leagues, mind you. And while it’s certainly possible that some bad days are still on the horizon, it’s important to evaluate Dalton’s weapons and realize what he’s working with. First, Dalton has one of the game’s best deep threats and jump ball specialists in A.J. Green. Then there’s Marvin Jones, who is another ball hawk with a nose for the end zone. Tyler Eifert is a massive target in the red zone. Giovani Bernard is electric out of the backfield and in the passing game. Jeremy Hill can punish defenses between the tackles. The offensive line can run and pass block equally well. This is an incredibly well-balanced offense, and Dalton probably has the best red-zone passing options in the league. Remember, this isn’t completely unprecedented. Dalton was a top-five QB in 2013 when he threw for nearly 4,300 yards and 33 touchdowns. Some natural regression is to be expected (1,761 yards, 14 TD through 6 games), but the rest of Cincy’s fantasy regular season schedule (@PIT, CLE, HOU, @ARI, STL, @CLE) isn’t too daunting, right? He should continue to put up strong numbers. At some point, you have to stop fading a guy like Dalton and buy in. Devonta Freeman is a top-5 RB. Andy Dalton is a top-5 QB. This is the world we live in, and it’s time to adjust accordingly. 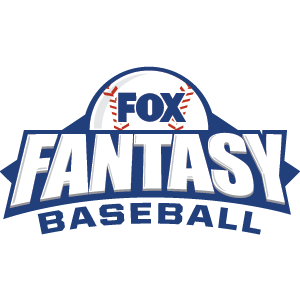 For the latest fantasy news, advice and analysis be sure to LIKE the new FOX Sports Fantasy Facebook page. This is the most unscientific, inexplicable thing you’ll read on fantasy football today, but it sure seems like when a coach that is generally unliked by the locker room gets let go, the team responds in a big way the next week. Maybe I’m going too far down narrative street, but it seems to happen a lot, doesn’t it? That’s exactly what happened for the Miami Dolphins on Sunday. After finally letting go of Joe Philbin and naming Dan Campbell head coach, the Dolphins came out and put a whooping on the Titans, as they probably should. Miami has a ton of talent on both sides of the ball, as this was projected to be one fantasy’s best defenses and an offense that could boast multiple high-level skill position players. Finally, we saw all that come together. The Dolphins put pressure on Marcus Mariota and made some big plays, while Lamar Miller finally received the kind of carries (19-113-1) he should be getting every week. I’m optimistic about Miller becoming the solid RB2 he was drafted to be, but still down on Tannehill and the consistency of the passing game. The Baltimore Ravens have allowed 325+ yard passing games to Colin Kaepernick, Josh McCown, Andy Dalton and Derek Carr. They’ll be on the road against Carson Palmer and the Cardinals next week. Palmer is fourth in the NFL in total passing yards (1,737) and tied for second in touchdowns (14). There aren’t many better quarterback matchups you’ll find next week.